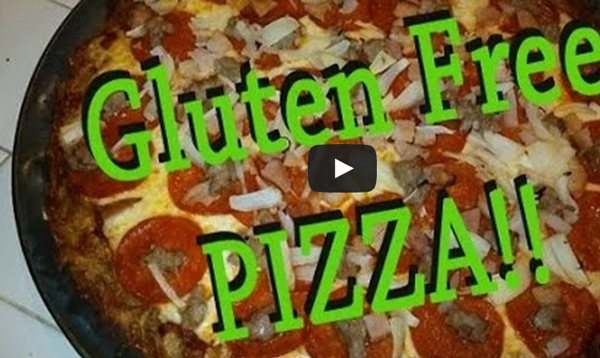 Home Posts tagged "potato crust"
This video is called Pizza Gluten Free Hash Brown Potato Crust, and in it I’ll show you how to make a pizza that is gluten free. The crust is freshly grated potatoes, and done right it’s healthy, delicious, and pretty easy to make. You’ll use the sauce, cheese (I recommend whole mile mozzarella) and toppings of your choice. There are other options too, dough crust made from rice flour , beans, etc, but this worked very well for me. I originally found the crust recipe online, and changed it to suit my needs. The pizza is a cross between a thin and thick crust, as the potatoes lose water volume during cooking. Be sure to use non-stick spray on your cooking surface, because the potatoes like to stick!